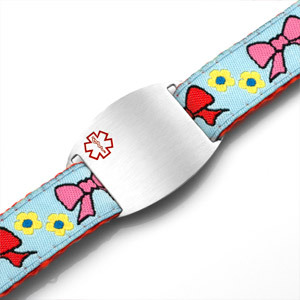 This bows sport strap medical ID bracelet is great for kids or kids at heart! 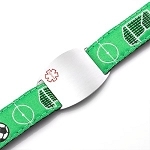 It easily adjusts to fit a child's 4 inch wrist up to an adult's 8 inch wrist. 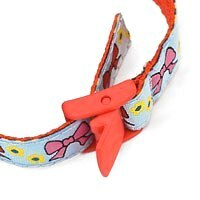 The nylon and polyester strap is about 5/8 of an inch wide and has a snap lock. Hand washable. 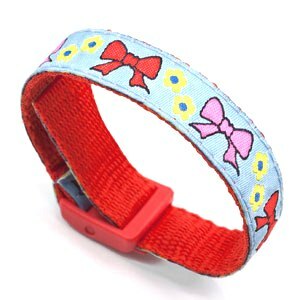 Strap tucks inside bracelet. 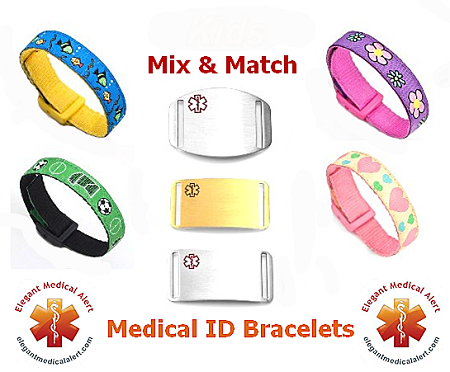 Medical wallet card included. 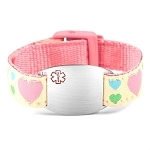 This is a MIX and MATCH bracelet! 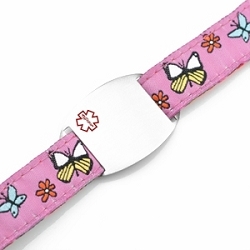 The plaque is interchangeable and can be worn with any of our other 5/8 inch wide strap bracelets.